In 1918 a group of local citizens founded The Cleveland Orchestra. Over the years it grew from a regional organization to an outstanding symphony winning ovations all over the world. When Severance Hall opened in 1931, the Cleveland Orchestra had a permanent home. 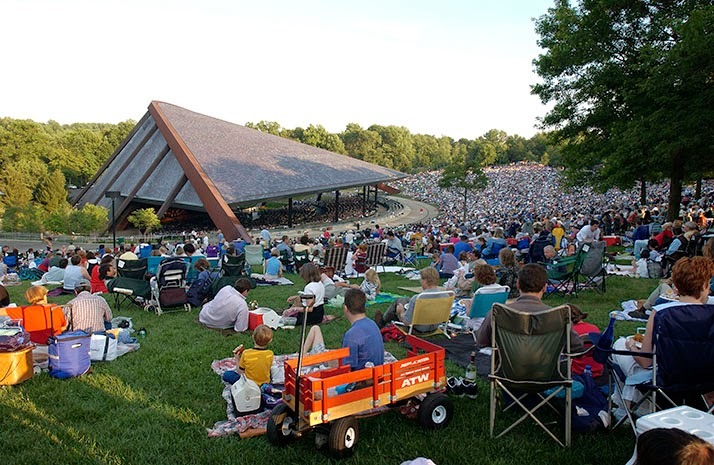 They also have a summer home at Blossom Music Center. 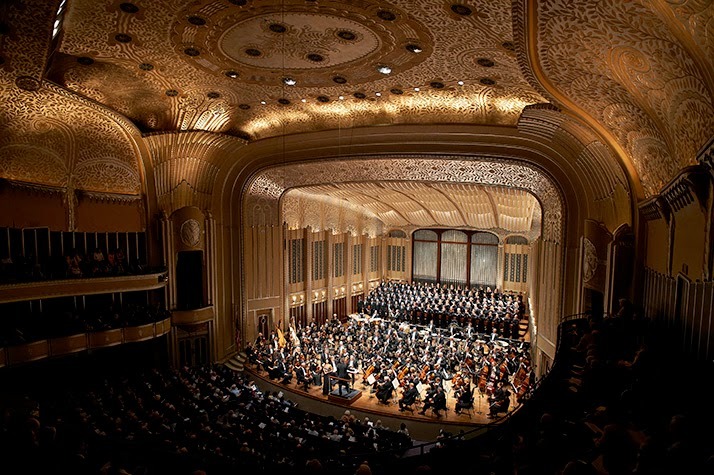 I must admit that I have never attended a concert at Severance Hall but I have heard them perform at Blossom and, of course, the Star Spangled Spectacular on Public Square, Downtown Cleveland. Traditionally, the Orchestra openly celebrates the Fourth of July the Monday before the fourth on Public Square with a concert and fireworks. I take the kids but we actually hang out by the Greater Cleveland Veterans Memorial which has a great view of the fireworks and absolutely no problem hearing the orchestra. The best part is that because we are not sitting on Public Square, it is not crowded, we bring a blanket or chairs, and the kids are free to run around. As I was poking around their site I learned that they have free ticket concerts for the under 18 crowd with the purchase of an adult ticket! Severance Hall tickets are one to one but Blossom kid tickets are two kids for the price of one adult. I am overjoyed about this offer because it's usually just me and the kids venturing off on the town. Sunday, July 13, 2014, at 7:00 p.m.
Music from a galaxy far, far away. Explore strange, new worlds with music from the biggest and best science fiction TV shows and movies, including selections from Star Trek, Star Wars, E.T., and 2001: A Space Odyssey. It’s the final frontier – of music! Live long and prosper! Sunday, July 27, 2014, at 7:00 p.m.
A “wicked” good evening! Come to Blossom for a concert of Broadway showstoppers including highlights fromThe Phantom of the Opera (featuring Broadway’s “Phantom,” Ted Keegan), Wicked, Rent, Les Misérables, and more. Plus, as seen on The Ellen DeGeneres Show, the charismatic and comedic Christina Bianco presents excerpts from her Diva Moments solo show, sure to bring down the house with her celebrity impressions of Julie Andrews, Barbra Streisand, Judy Garland, and others. Sunday, August 3, 2014, at 7:00 p.m. The great film scores of our time. Hollywood maestro Richard Kaufman leads a blockbuster tribute to the most memorable music of the movies. Enjoy selections from films including Forrest Gump, The Godfather, Gone with the Wind, The Magnificent Seven, Lincoln, Lawrence of Arabia, The Right Stuff, and more. Sunday, August 10, 2014, at 7:00 p.m.
Sunday, August 24, 2014, at 7:00 p.m. The best of the Beatles … with The Cleveland Orchestra. From the early hits through the solo years, relive the greatest hits of the Beatles when hit tribute band Classical Mystery Tour joins The Cleveland Orchestra in performing the original orchestrations to all of your favorites – including “Penny Lane,” “Yesterday,” “Eleanor Rigby,” “With a Little Help From My Friends,” and so much more. Don’t miss this one-night-only event! Labor Day fun for the whole family! Bring the kids and share in the magical experience of Blossom with a fun-filled concert – featuring tunes from The Little Mermaid, The Wizard of Oz, Spiderman, 2013’s hit movie Frozen, and more – as well as Wheel of Fortune’s very own Pat Sajak. Featuring great family-friendly activities and a spectacular fireworks show! *fireworks following the concert, weather permitting. Obviously I can't wait for summer but we won't have to! The Cleveland Orchestra will be performing in my hometown as part of their At Home Series. All the dates are on my Northeast Ohio Bucket List! I love that the kids and I can walk to all of these wonderful events. 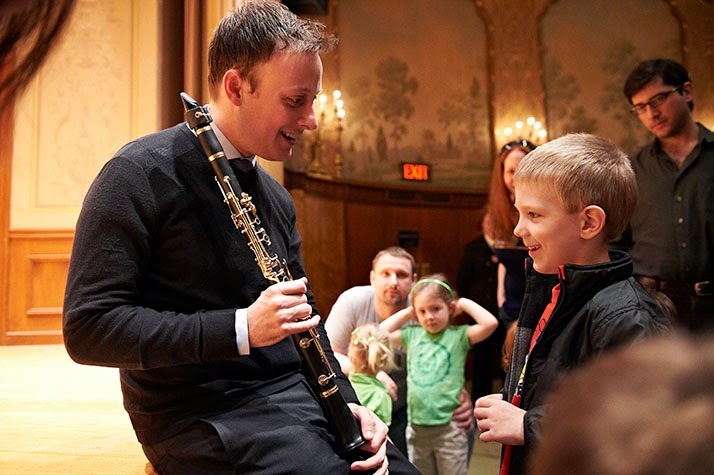 Finally, the Orchestra opens it doors at Severance Hall for PNC Musical Rainbows about once a month and showcases a different instrument with concert. It is free for kids with a paid adult ticket ($7) and it is 30 minutes long. I think that the appeal is that this series is in that beautiful building and why I have never been is beyond me. I am adding a performance at Severance to my list of things to do before 40 but I think I will go to a concert and not take the kids. Personally, I prefer the Beck Center's Super Saturdays (April 26 - Xylophone & Percussion family of instruments) because it is free and after the performance there are crafts and the instruments are laid out in the gallery for the kids to use and ask questions. Also if you miss the performance, which we always do because it is at the same time as ballet, the kids can still participate in the other activities.